The first thing to consider is your camera's sensor size or, more specifically, its crop factor. If you're new to digital photography and bought one of the more popular entry-level DSLR cameras, chances are there's an APS-C sensor at the heart of it. That's important because the sensor is smaller than a “standard” full-frame sensor, which matches the size of a 35mm negative. This results in a narrower field of view inside the camera, which means that a lens built for a full-frame camera will appear to have a longer focal length on these cameras. For instance, the crop factor for a APS-C sensor is approximately 1.5, meaning that a full-frame 28-135mm lens will have the approximate field of view of a 42-202mm lens when mounted on a camera with an APS-C sensor. That's fine for telephoto work, but at the wide angle end, you may find that you can't squeeze as much as you'd like into the frame. 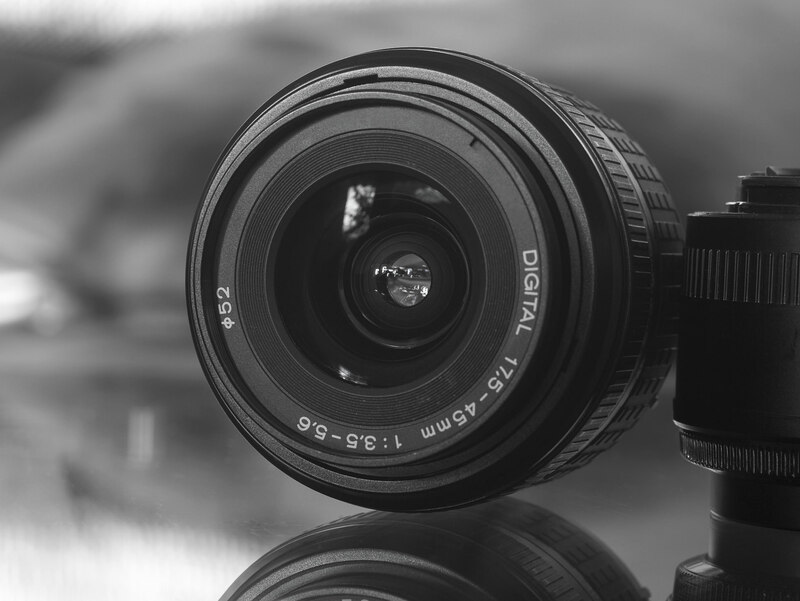 Conversely, a lens designed for a crop-sensor camera not only won't have a wide enough field of view to fill a full-frame sensor, but some are built with the inner element closer to the mirror, which may damage the camera. Almost all crop-sensor lenses will exhibit vignetting on full-frame cameras. Given these facts, make sure the lens you choose is compatible with your camera sensor. Canon's EF-S series and Nikon's DX series are specifically designed for use with APS-C sensor cameras. Don't let the term “macro” on a zoom lens fool you into thinking that it's going to have true macro capability (the ability to render something at its actual size in the image, known as a 1:1 ratio). Zoom lenses are not true macro lenses, although some may have a magnification factor at their closest focusing distance that's greater than 1:4 or ¼ actual size. This is often the basis for rating zoom lenses as “macro capable”, since an image that's ¼ actual size will appear life-size on a 4” x 6” print. Minimum focusing distance, which often follows the word “MACRO” on these zoom lenses is obviously the closest that an object can be to the front of a lens to achieve sharp focus. That distance can be an important consideration for your walk-around lens if you like to get in close to your subjects. It's not always easy to carry a tripod or monopod when you're out and about with your camera, and you're not always going to have the time to set one up before the shot gets away. Given that, one feature your walk-around lens should have is image stabilization (IS), or vibration reduction (VR) as it's labeled by Nikon. Its purpose is to help reduce the amount of camera shake visible when you're hand-holding your camera. This feature will give you as much as a couple of stops of latitude in your exposure settings, so it's a very valuable feature to look for. As with any lens, one of the most important factors in selecting a walk-around zoom is the maximum aperture size, expressed in the lens description as its f-stop equivalent. The lower the f-number, the larger the aperture, so a typical zoom lens with a f/3.5 – 5.6 (noted as 1:35-5.6 on the lens, and indicating the maximum at each end of the zoom range) will pass less light to the sensor than a more costly, fixed aperture zoom with a maximum aperture of f/2.8. That means using slower shutter speeds at a given ISO setting, and greater risk of motion blur or camera shake in low light. If you're not prepared to spend a lot of money on a fixed-aperture zoom, you can expect to settle for the f/3.5-5.6 range in your everyday zoom lens, so you can see that image stabilization becomes more important. The type of focusing motor in a lens determines how quickly and quietly a lens focuses, which can often be a factor in whether or not you get the shot. 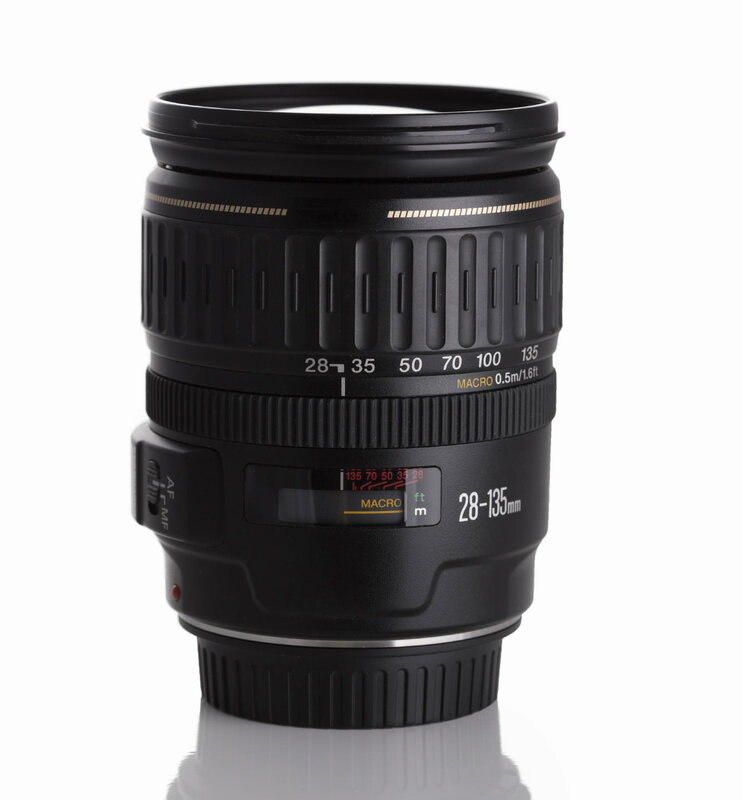 As you've probably guessed, it also helps determine the price of the lens. Nikon's AF-S and Canon's USM designations indicate higher quality focusing motors than standard, “kit” lenses. While your shooting style will help determine the best lens, the price may be a much more important factor, as the differences can be extreme. Once you've shopped around and determined the best lens for your needs, find the best price from a reputable source. I recommend taking a look at what KEH Camera has to offer. 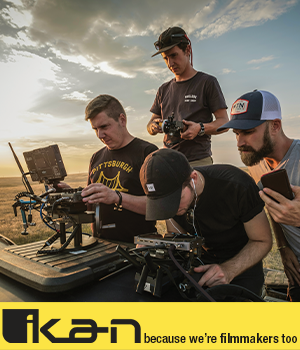 Their inspected, graded and guaranteed used inventory can save you hundreds of dollars on lenses and they offer incredible pricing on new and refurnished lenses, too. Click their banner below to take a look. I hope these tips will help you find the right walk-around lens to suit your style and budget. Happy hunting!